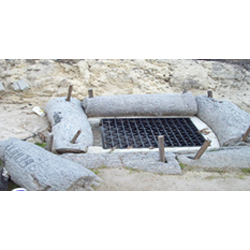 GeoHay is an erosion and sediment control product made from recycled carpet fibers. It is long-lasting, reusable and suitable for inlet protection. With pre-cut stake holes for easy installation, the product removes sediment and suspended solids.